These side piers have a spring action handle. Cuts soft wire 5/32", half hard wire 1/8", 3/4 hard wire 5/64" and piano wire 1/16". 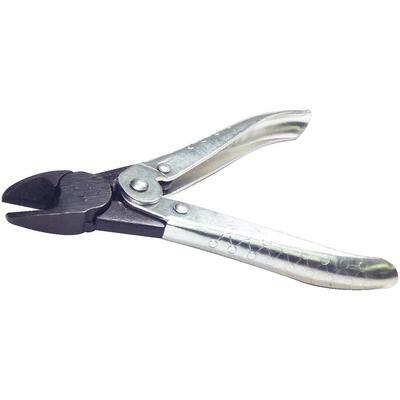 Overall length is 5-1/2" with maximum jaw opening of 1/4".